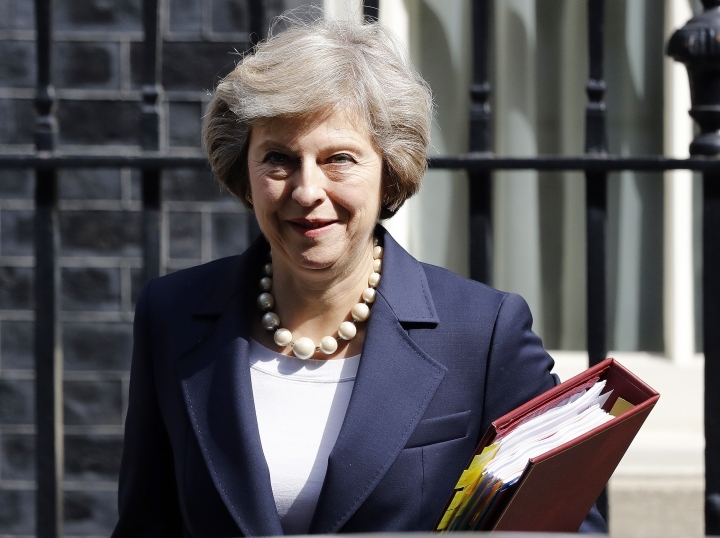 BEIJING — On her first visit to China as Britain's prime minister, Theresa May will try to reassure Beijing that she wants to strengthen ties despite her delay on a decision over whether to approve a Chinese-backed nuclear power plant in southwestern England. May's predecessor David Cameron heralded a "golden decade" in bilateral ties, but he quit after Britain voted in June to separate from the European Union. In a perceived slight to China, May abruptly launched a review into the Hinkley Point C power plant project that Beijing is counting on to boost its nuclear technology exports. "I would expect that she would really want try to use this opportunity to reassure the Chinese that Hinkley Point C doesn't mean that (Britain) does not want a good relationship with China," said Tsang. "It's a very wide-ranging relationship; there are many different dimensions to it. It shouldn't all hang on something like Hinkley Point." May, who will be attending this weekend's G20 summit in the eastern Chinese resort city of Hangzhou, has already dispatched an envoy to assure Beijing that she looks forward to working more closely with China in economic, trade and global affairs. The Hinkley Point C plant, to be built by French energy giant EDF with backing from China General Nuclear Power Corp., would be Britain's first new nuclear facility in 20 years and would seek to address its future energy needs. China's government-run nuclear industry is based on foreign technology, but has spent two decades developing its own with help from Westinghouse Electric Co., France's Areva and EDF and other partners. A separate export initiative is based on an alliance between Westinghouse and a state-owned reactor developer. Although the reason for the Hinkley Point C's review hasn't been revealed, critics say it's a bad financial deal for Britain. The plant's technology is untested, and serious concerns remain about a Chinese state-owned company investing in key infrastructure that could give Beijing major political leverage in the event of a conflict. China General Nuclear Power Corp. would finance a third of the plant's 18 billion pound ($23.6 billion) construction cost and take the lead on designing and building a second nuclear plant in southeast England. British acceptance of Chinese technology will ease the way for it to be sold around the world, a potential gold mine for China's budding nuclear industry. Security and commercial issues surrounding the plant extend even beyond Britain. In April, the U.S. government indicted China General Nuclear Power Corp. for allegedly conspiring to illegally produce nuclear material in China with the help of experts in the U.S. without the government authorization required by U.S. law. The company has said that it understands the new British government's need to familiarize itself with the project given its importance to the country's energy safety. China's state media, however, took a much harsher line. "Apparently, London's so-called 'national security' concerns ... could well endanger the bright new prospects the two nations' leaderships have agreed to foster," the official Xinhua News Agency said in a commentary that labeled Britain's actions as "China-phobia." "After divorcing the E.U., Britain would be foolish to decline stronger trade ties with China, whose markets remain home to tremendous business opportunities," Xinhua added. It remains to be seen whether Beijing will gain by upping the political ante. Some British politicians were already wary of the Cameron government's enthusiasm for courting Chinese investment, while soft pedaling human rights issues that resonate with much of the British public. That came after Cameron incurred Beijing's wrath by meeting in 2012 with the Tibetan spiritual leader, the Dalai Lama, considered a separatist by Beijing. The meeting prompted China to suspend high-level diplomatic contacts for 14 months while imperiling a raft of trade deals. Overall, Chinese observers say they don't expect any fundamental change in relations under May. Since both countries are major powers, their strategic diplomacies won't change much based on their leaders' personal preferences, said Zhang Yao, a former director of the Center for European Studies at the Shanghai Institute of Foreign Studies. The G20 offers an opportunity for May and Chinese President Xi Jinping "to better understand each other" and agree on how they want to develop future relations, Zhang said. Cameron's departure was a disappointment for the Chinese government, which expected a lot from him because of his efforts to promote bilateral relations, whereas some ordinary Chinese and academics think differently, said Zhang Lihua, director of the Center of Sino-European Studies at Beijing's elite Tsinghua University. "I regard him as a political speculator because he risked the fortune of (Britain) for the benefit of his party and his personal political career," Zhang said, referring to Cameron's decision to hold the EU referendum. "Although we are not familiar with Theresa May, she might be less speculative and more a person of principle than Cameron," Zhang said.